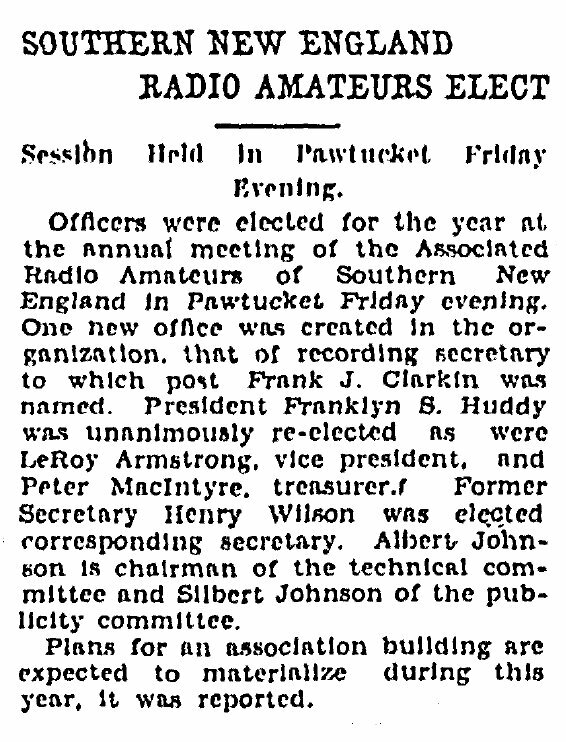 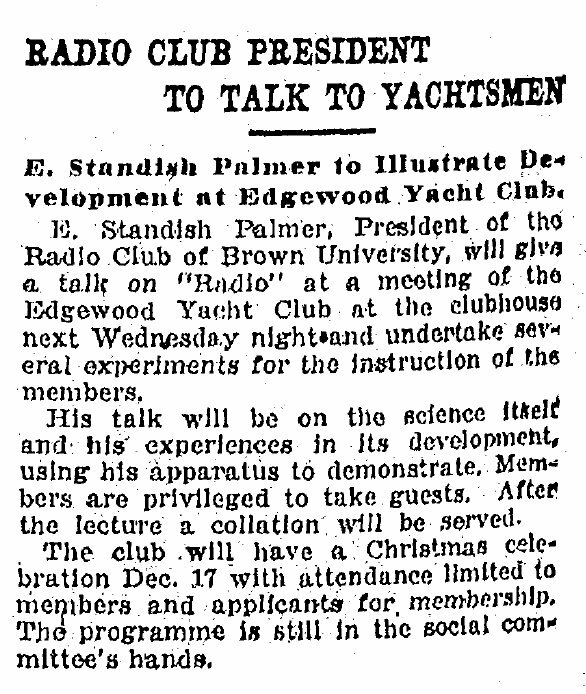 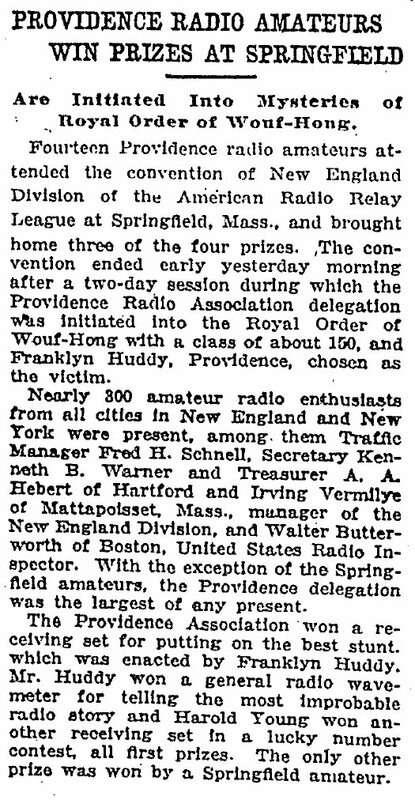 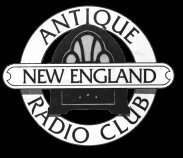 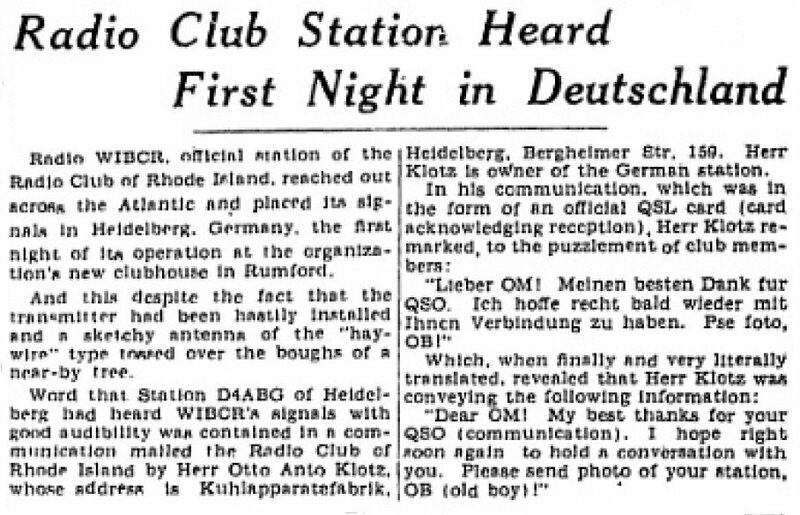 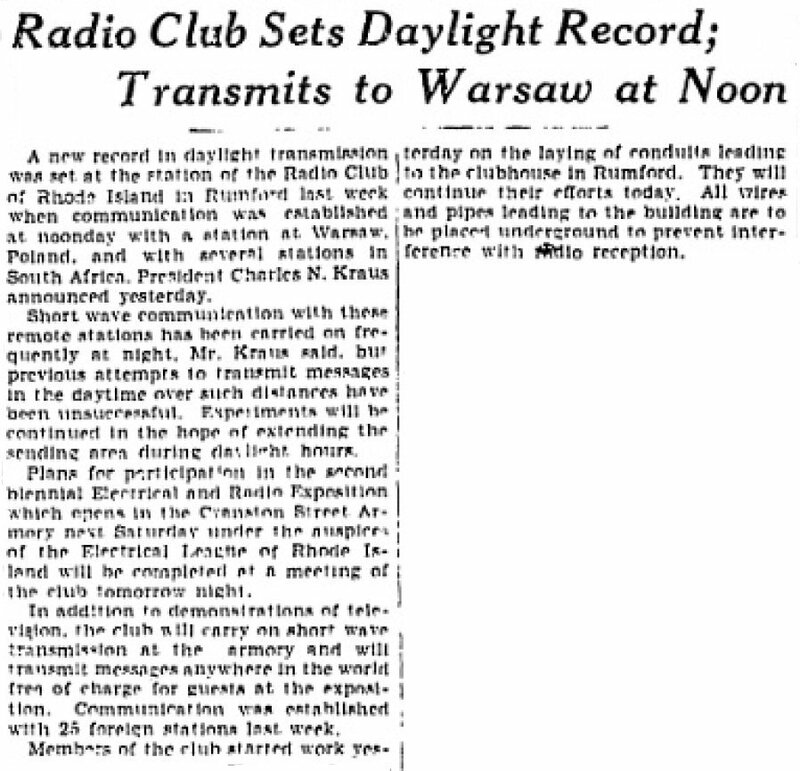 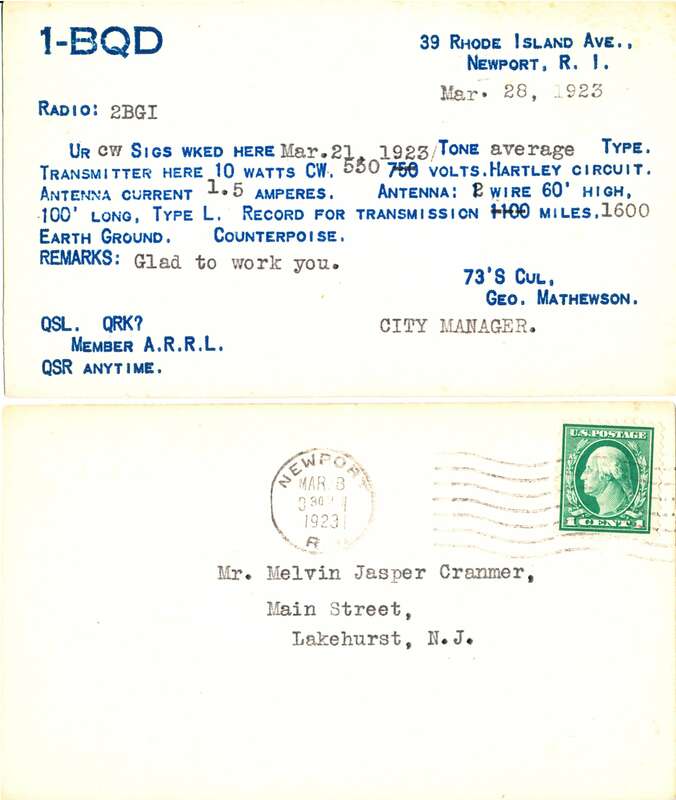 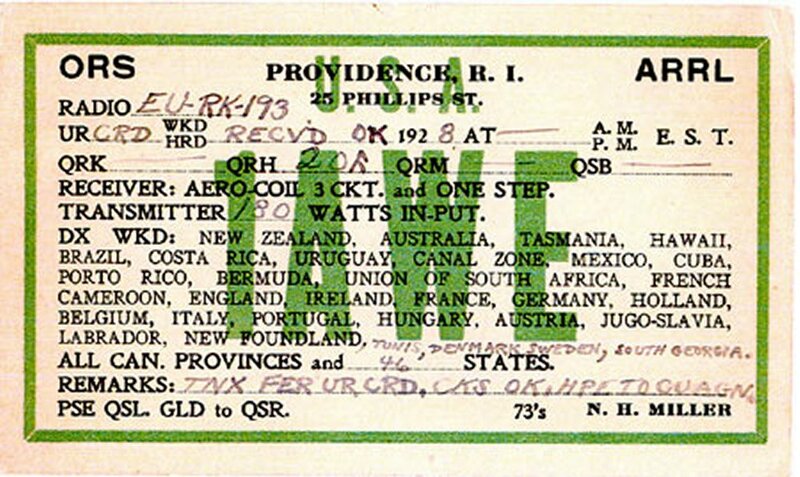 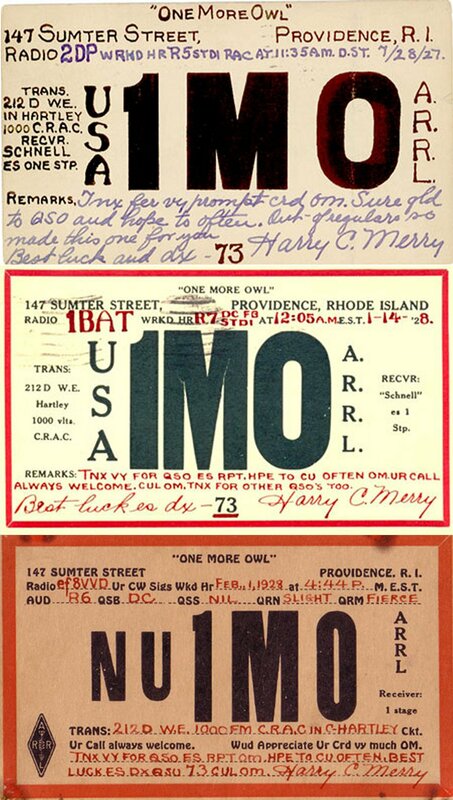 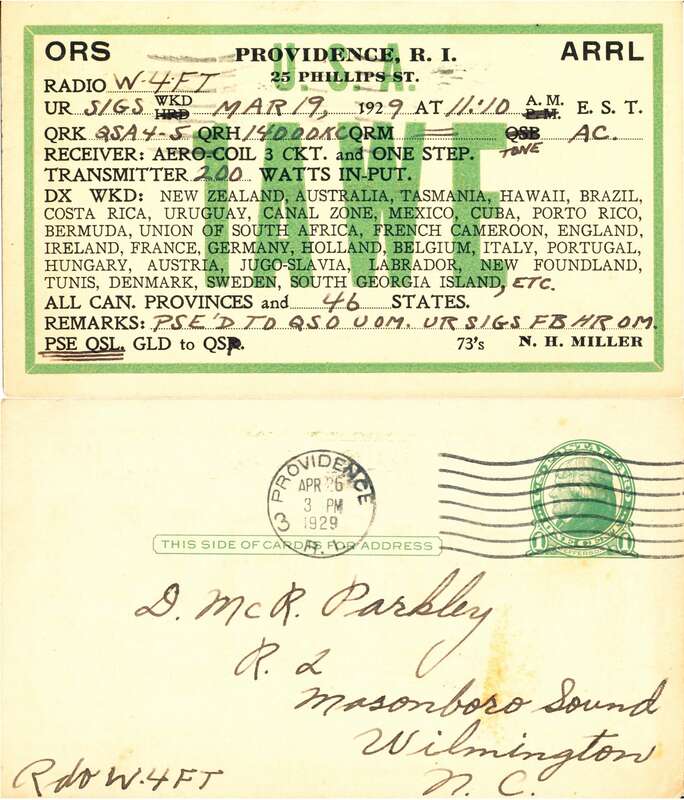 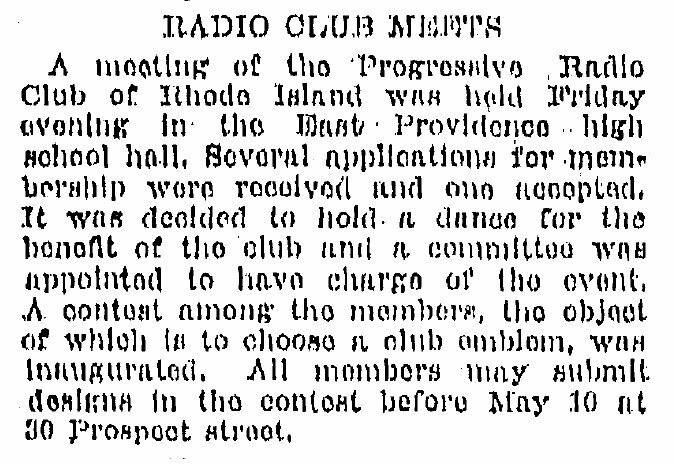 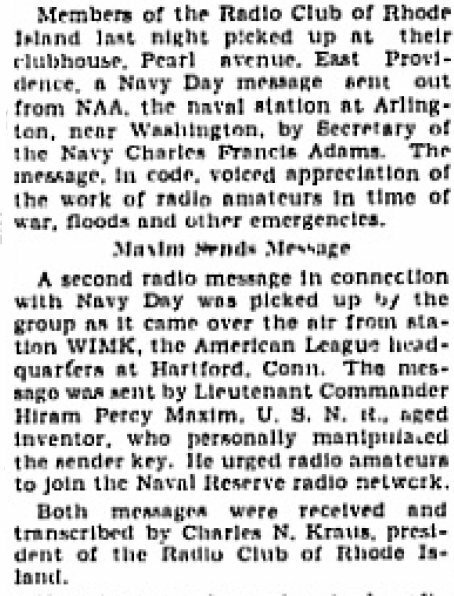 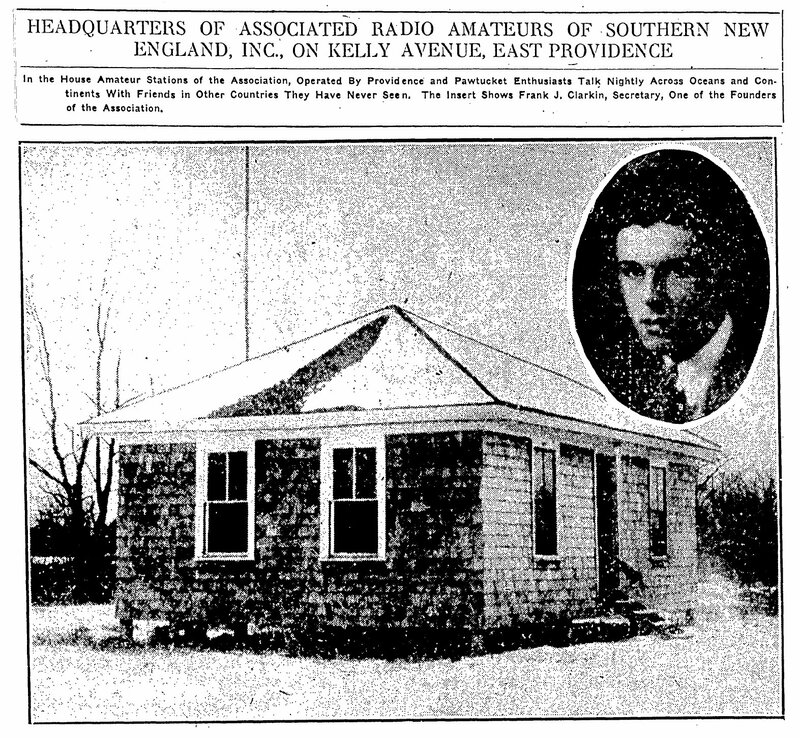 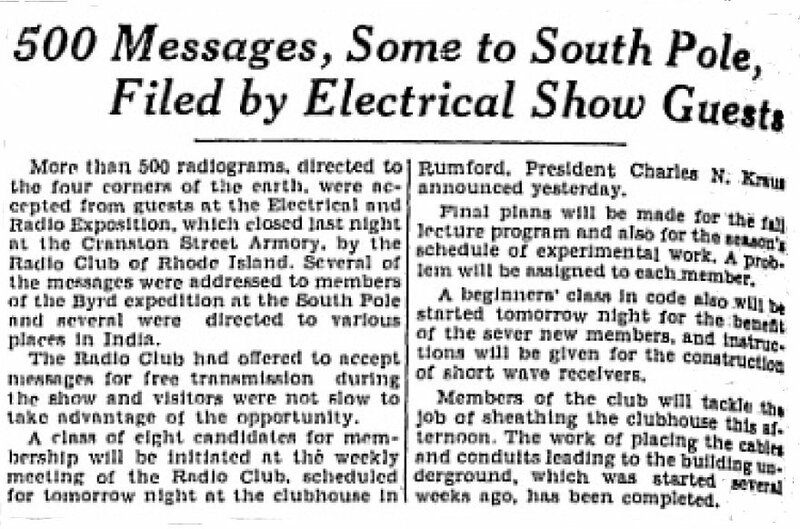 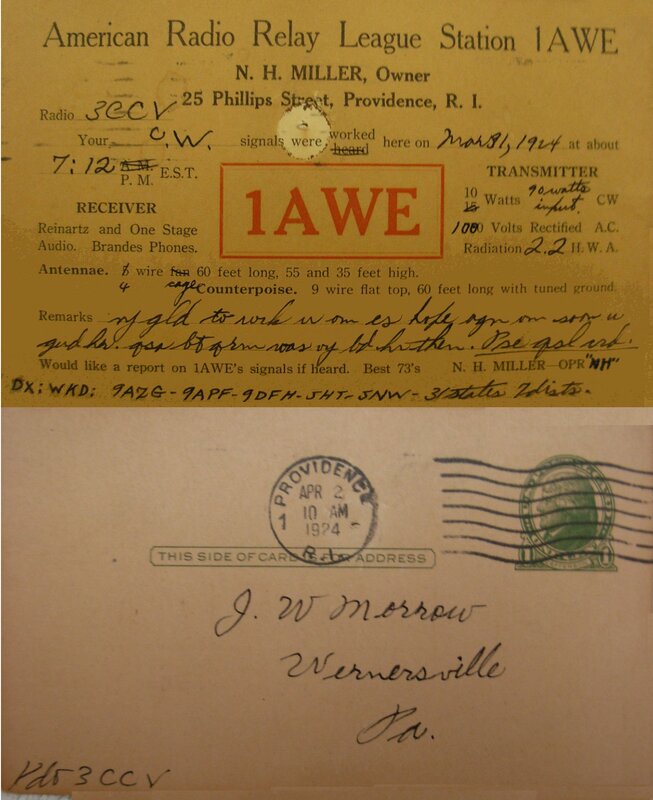 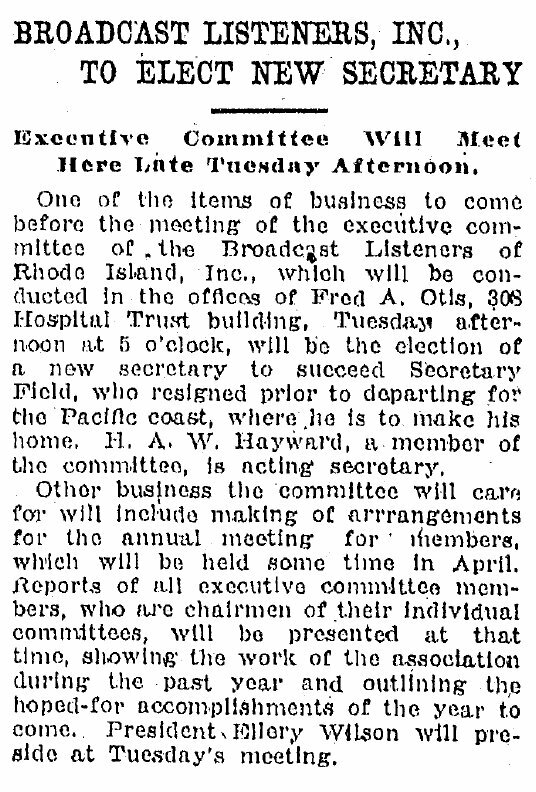 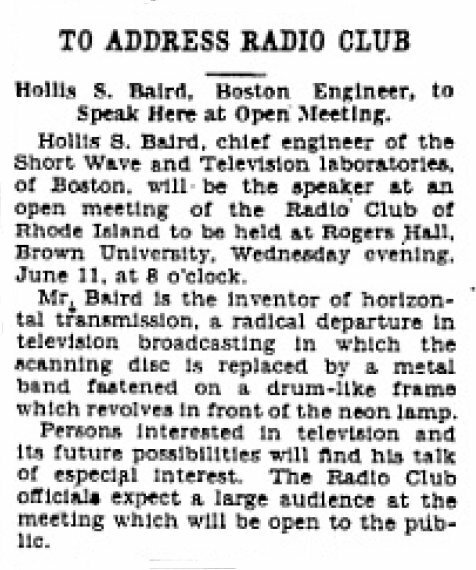 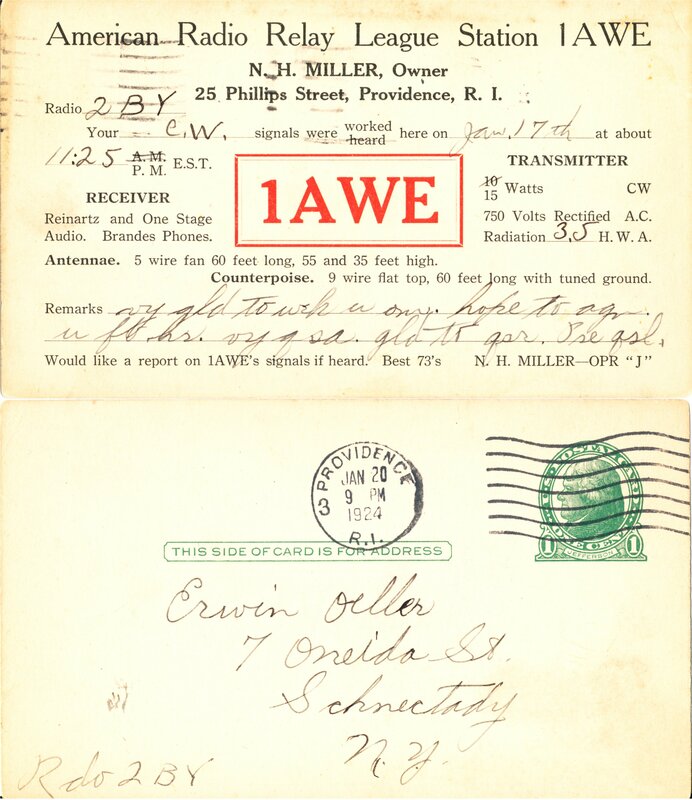 The earliest referance to a radio "club" in Rhode Island was a group of amatures meeting in 1914. 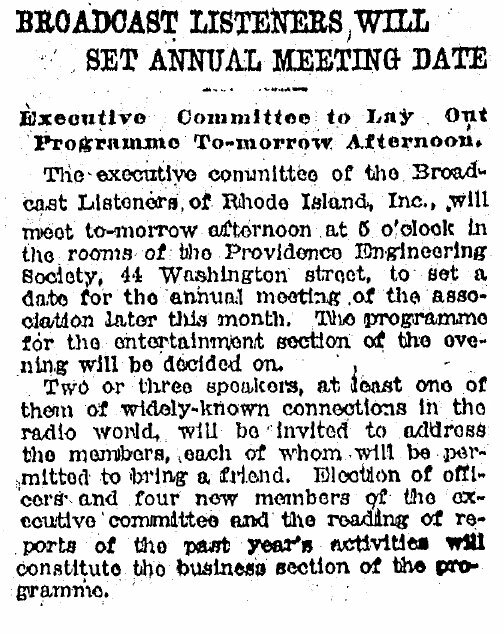 The name of the club was the Rhode Island Radio Association. 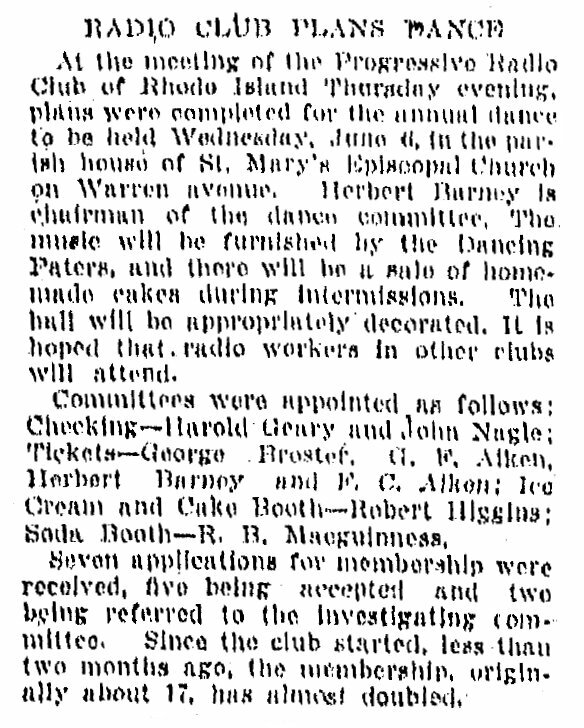 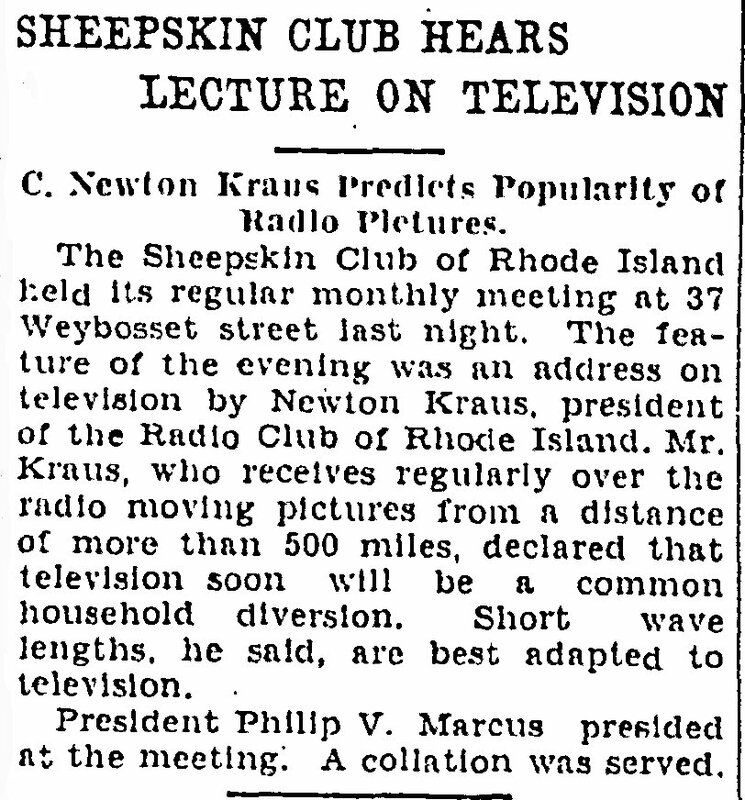 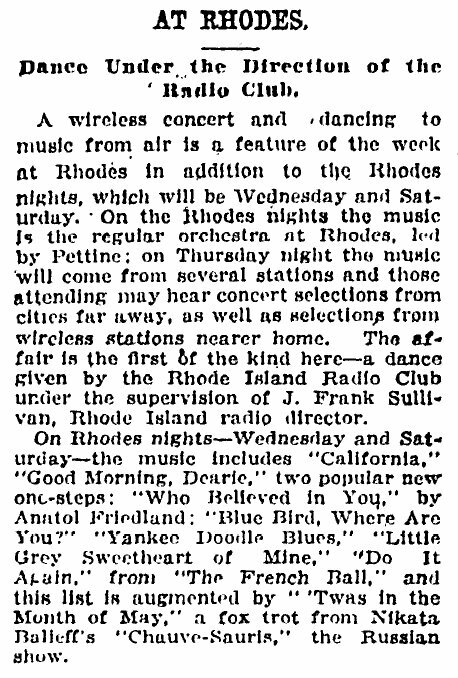 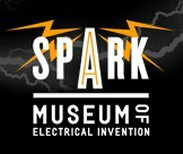 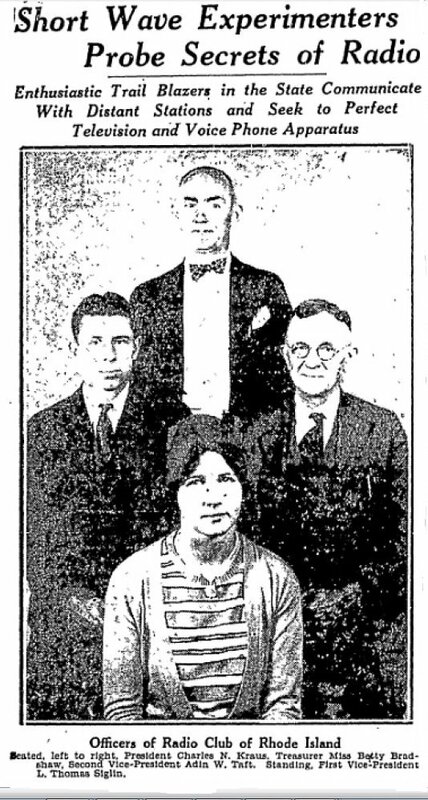 Throughout the 20's an beyond there have been different radio clubs in Rhode Island. 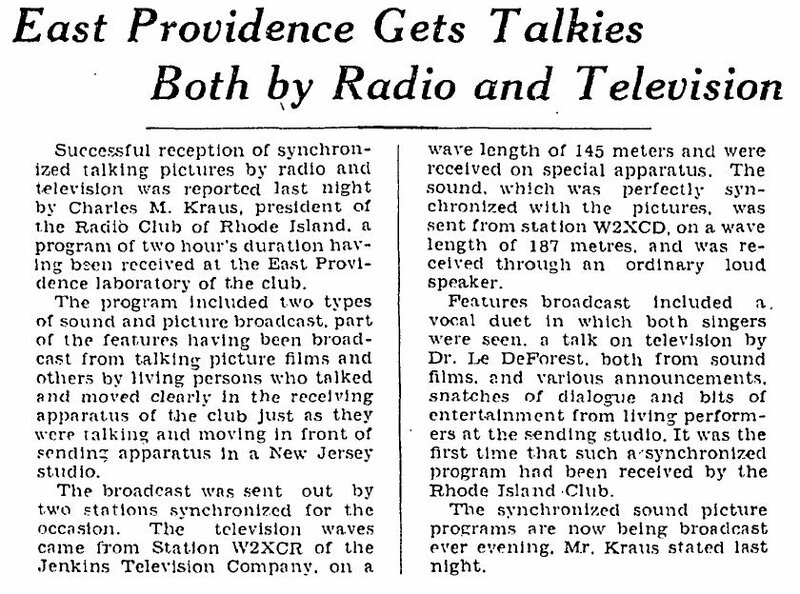 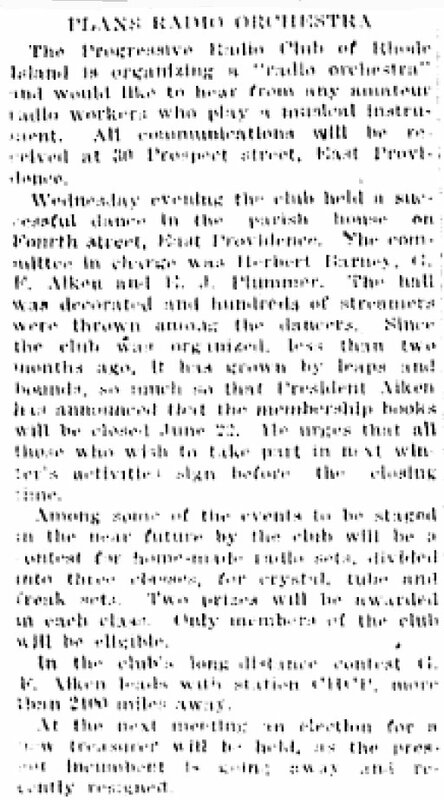 The first seen was in April of 1923 called the Progressive Radio Club of Rhode Island. 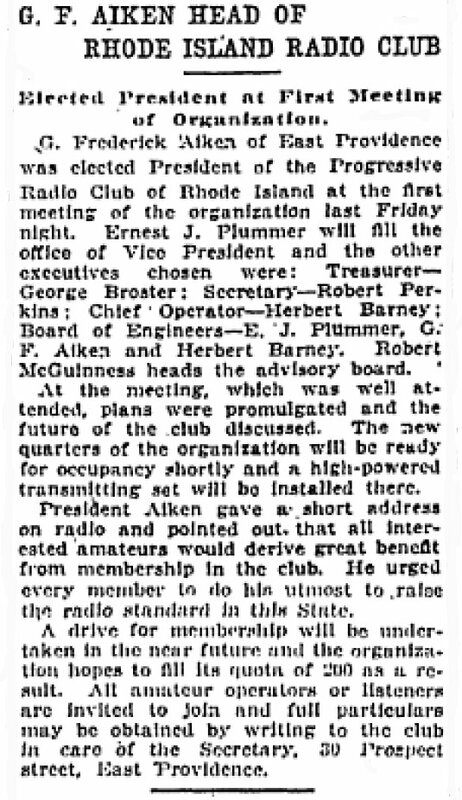 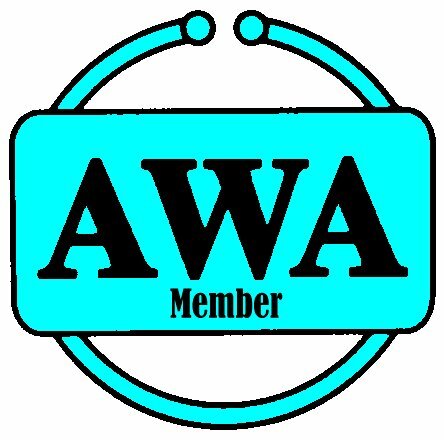 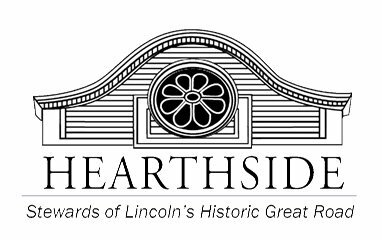 The clubs first meeting was Friday April 29th where they elected officers, G. Frederick Aiken, President, Ernect J. Plummer, Vice President, George Broater, Treasurer, Robert Perkins, Secretary, Herbert Barney, Cheir Operator. 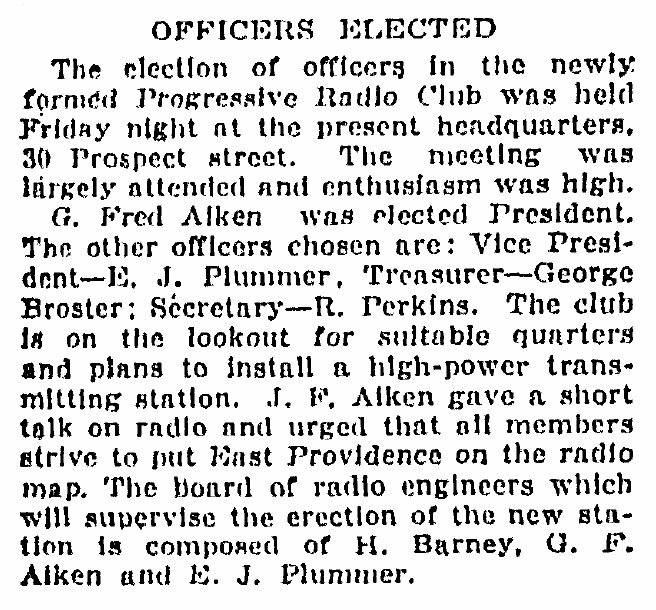 The Board of Engineers elected were E. J. Plummer, G F. Aiken and Herbert Barney. 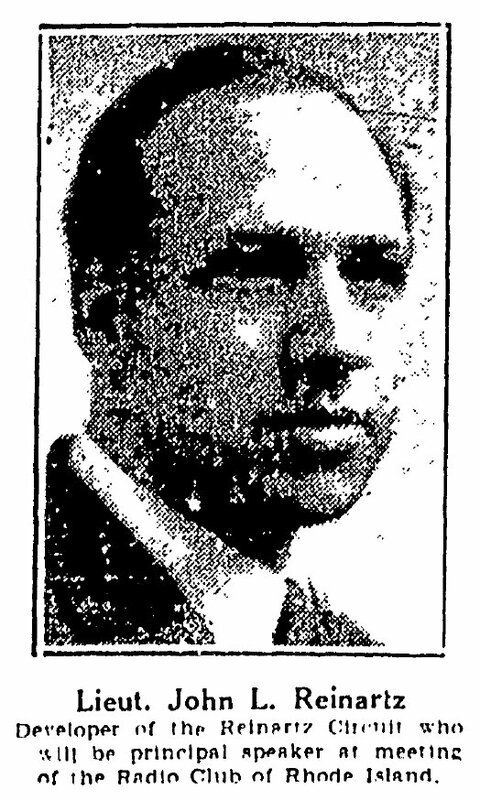 Robert McGinness was elected head of the advisory board. 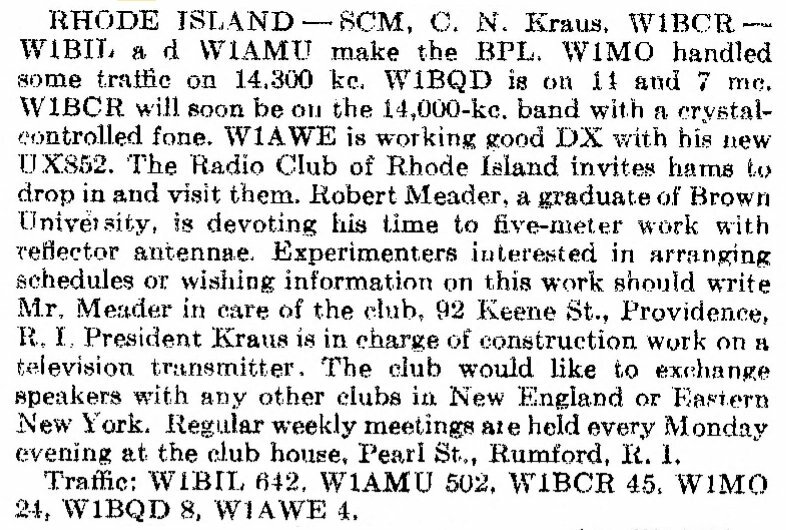 A new quarters for the organization will be ready soon and a high power transmitter set will be installed there. 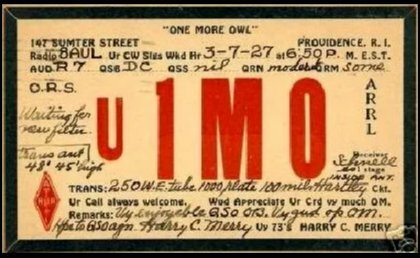 How long the blub lasted reamins to be seen. 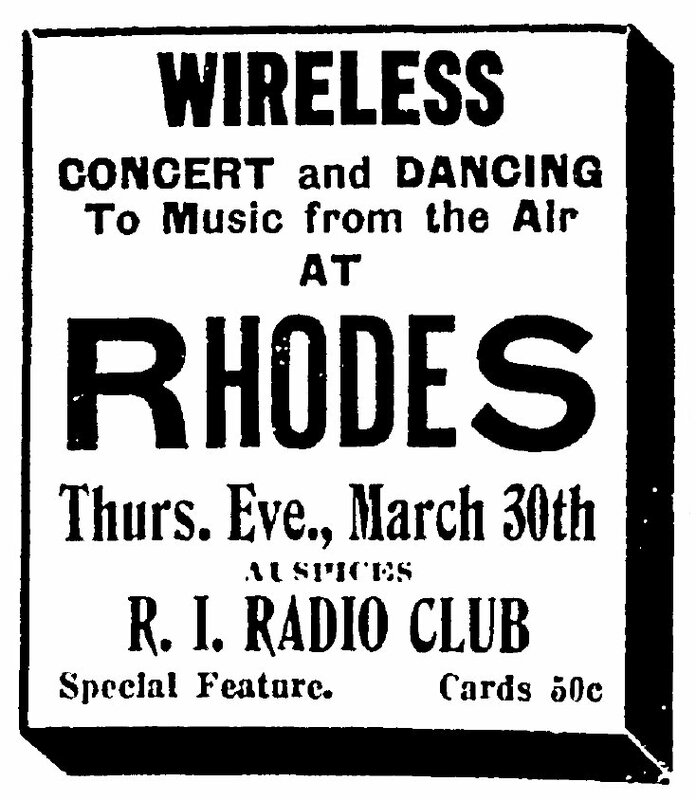 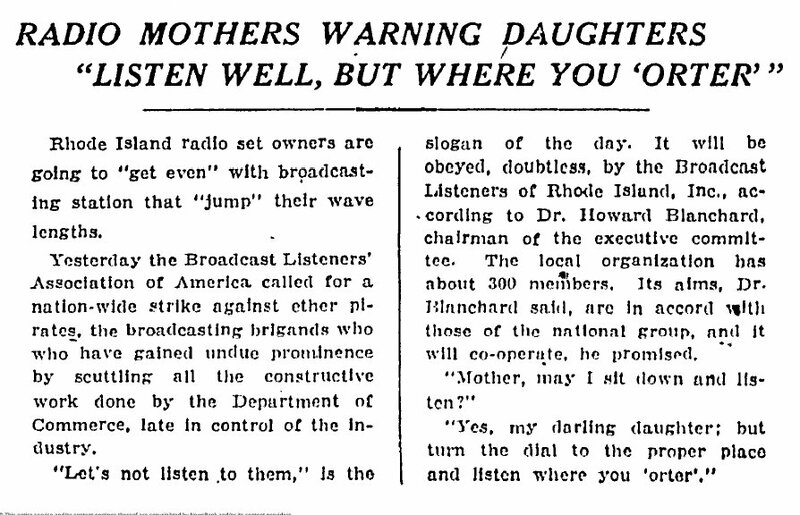 They did hold a dance on June 5th, 1923 and announce a Radio Orchestra. 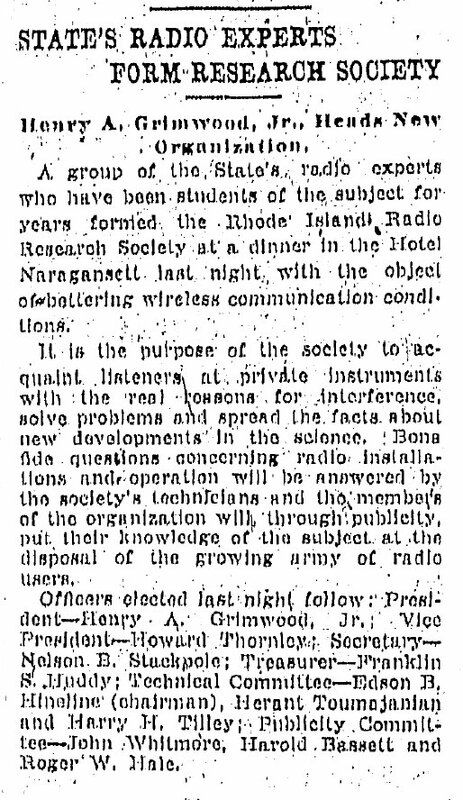 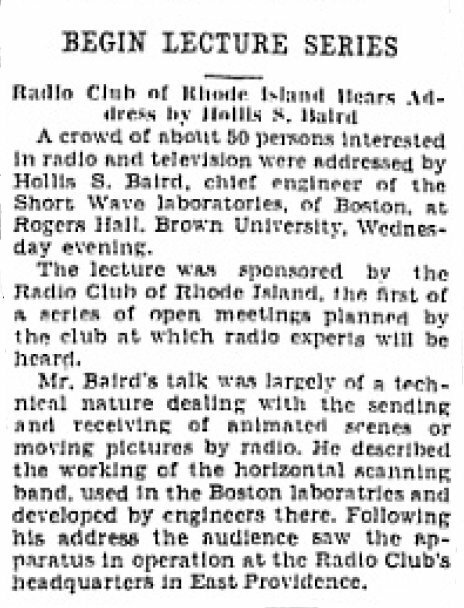 Early on, the Brown University Radio Club existed but eventually changed it's name to The Radio CLub of Rhode Island in November of 1928. 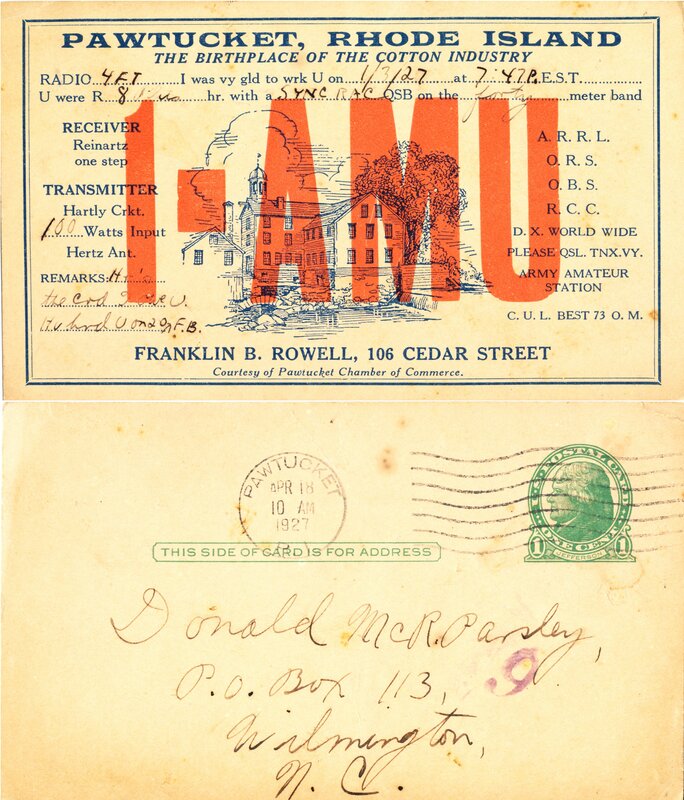 The president C Newton Kraus said the name change was necessary due to many members not being Brown University Students. 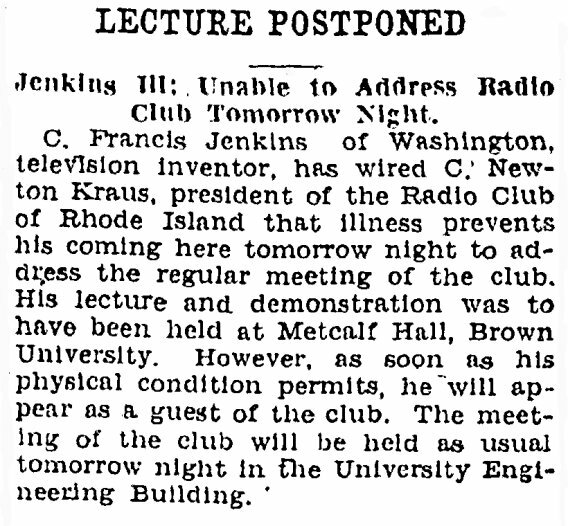 The club continured to meet in the Engineering Building of the University. 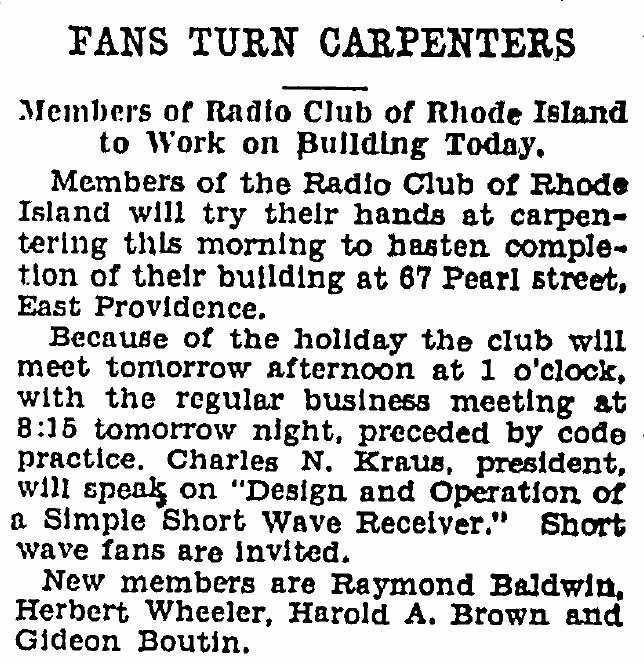 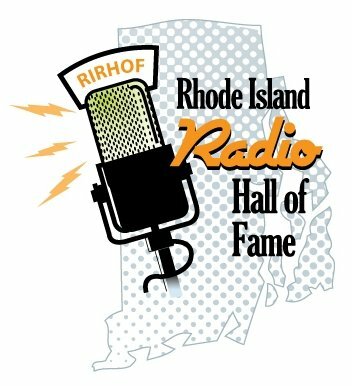 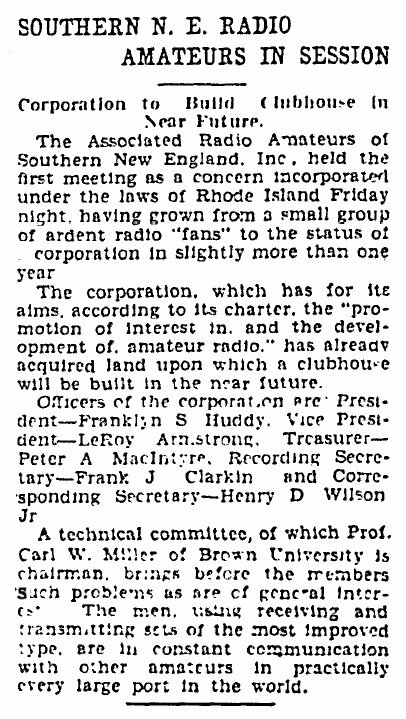 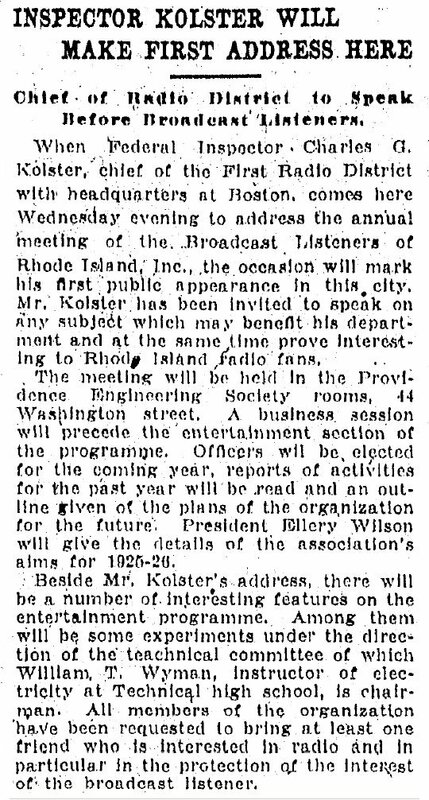 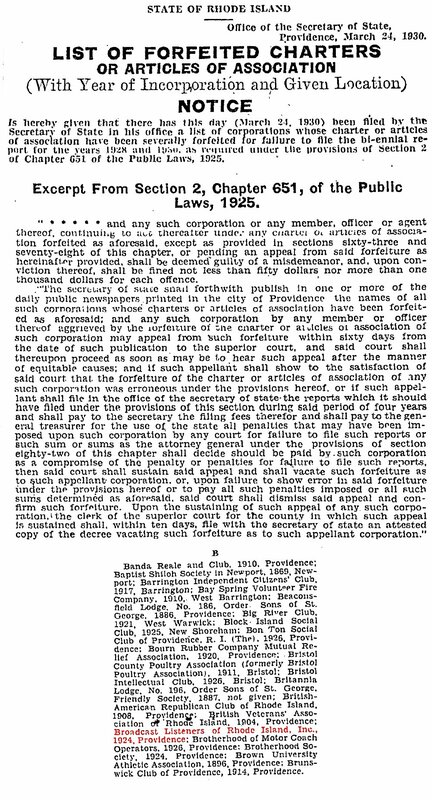 The Broadcast Listeners of Rhode Island were icorporated in 1924 judging from the Providence Journal reporting the club losing their charter. 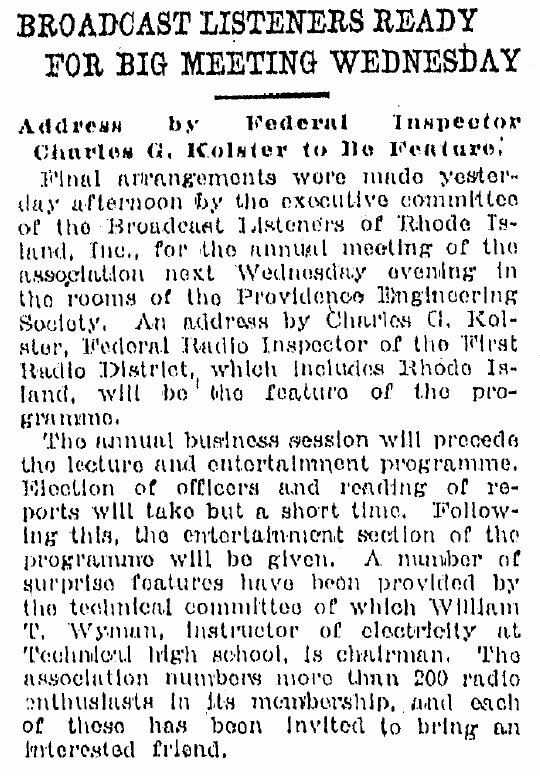 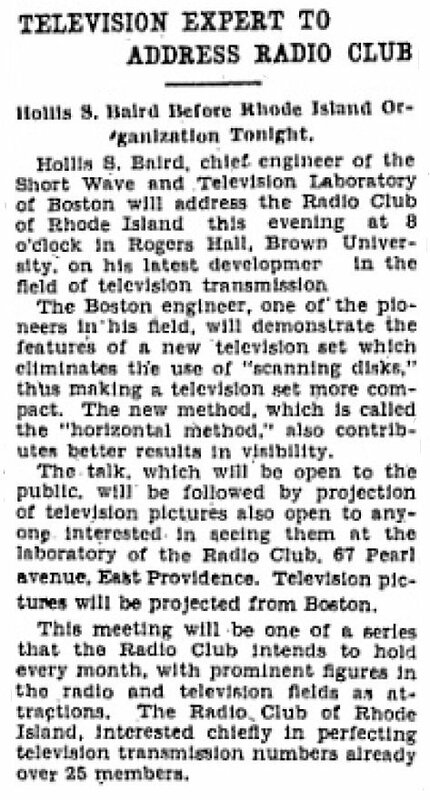 Could find only one mention of the Rhode Island Radio Research Society. 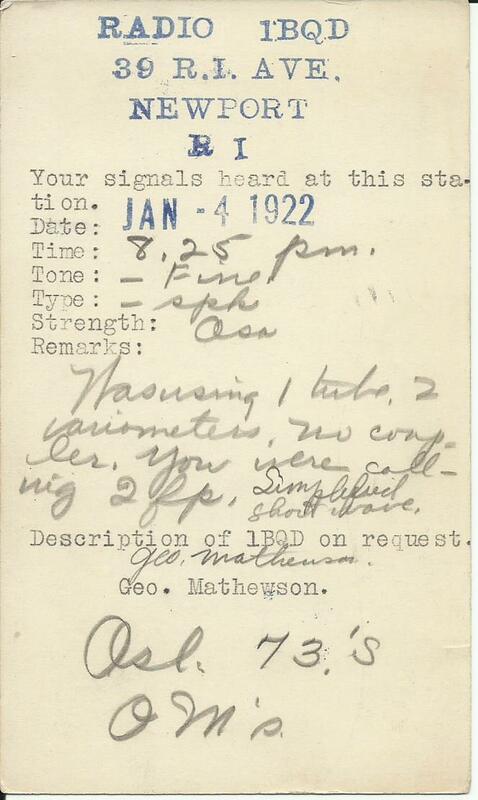 Sounded very promissing but did not last. 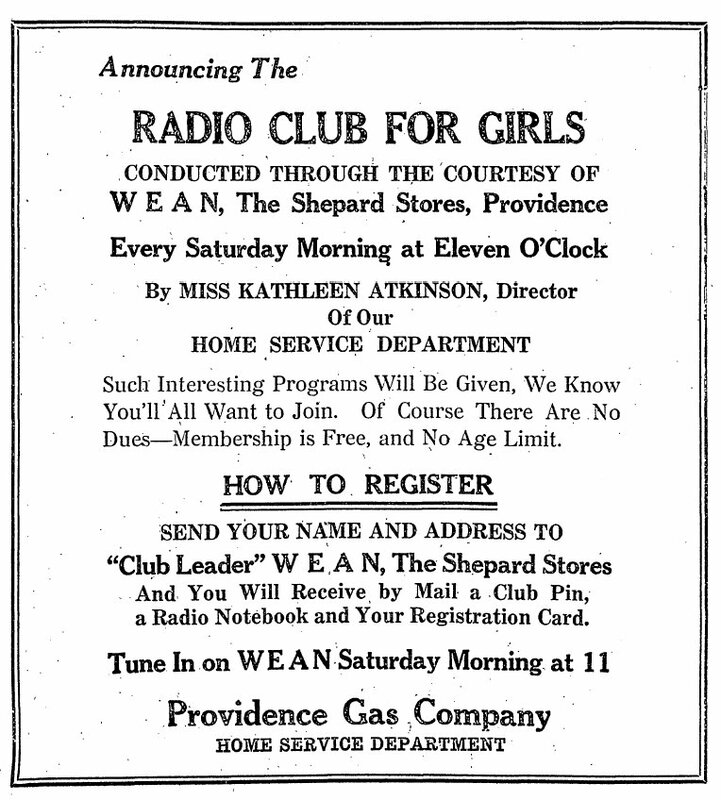 The Radio Club for Girls was actually a club produced by WEAN in Providence to attract Girls into the radio hobby and undoubtidly increase sales in the Shepards Store Radio Department. 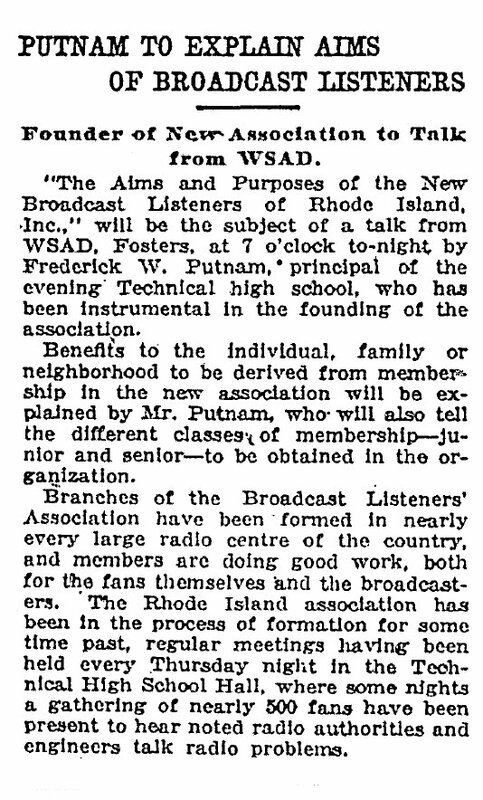 They produce a weekly Radio broadcast on WEAN.